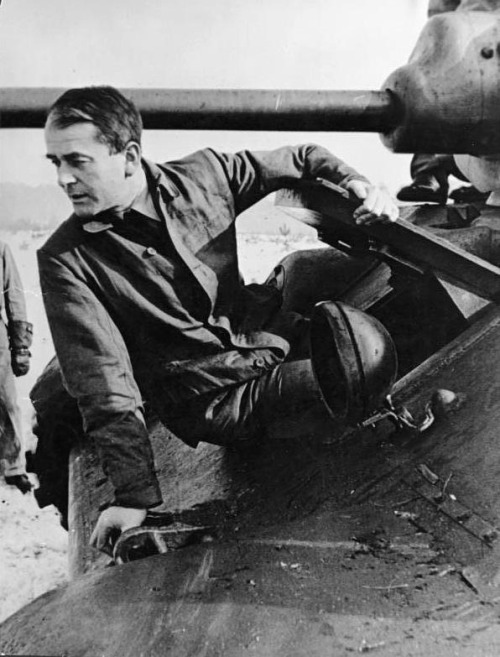 It was the middle of the war, and Minister of Armaments and Munitions Albert Speer was riding high. Somebody, however, had alerted him to an article in the British press which profiled him and and had characterized him as part of a new breed, apolitical technocrats who simply did their jobs without regard to morals or scruples. Speer quickly jumped up and headed over to see Adolf Hitler with the article. As he described it in his memoirs, his intent was to show it to Hitler before any of his enemies within the top ranks of the Third Reich did in an attempt to call his loyalty into question. Hitler apparently took the article in the manner Speer desired, and the affair passed off without incident. 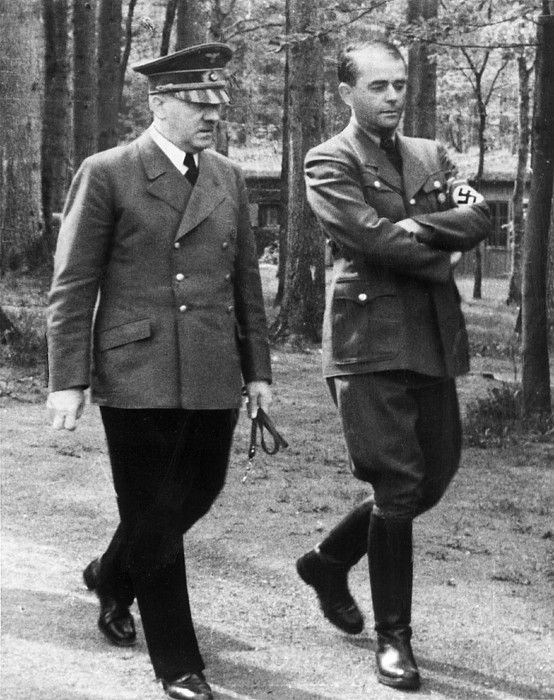 While Albert Speer, shown here with Adolf Hitler, often wore what appears to be a military uniform, he did not hold a military rank except by courtesy. Speer held the rank of Oberbefehlsleiter, which was a NSDAP position. 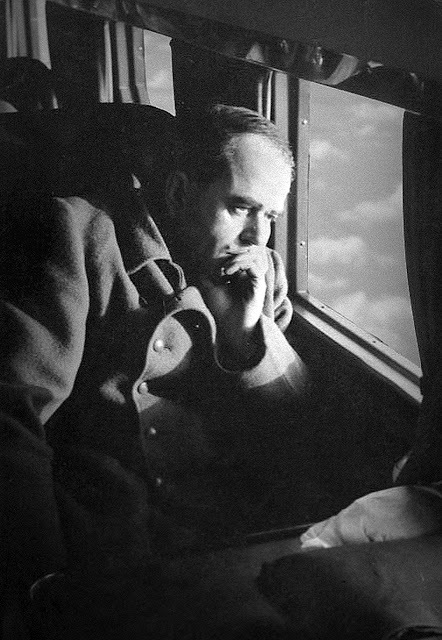 While perhaps a throwaway anecdote in Speer's voluminous recollections, the situation quickly illustrates several notable things about Albert Speer. He was highly placed, sufficiently so to drop in on the Fuhrer without an appointment. He also was respected by the Third Reich's enemies, at least for his technical skills. Speer also was widely disliked by his peers, some of whom (the ones who survived, at least) later going out of their way to sneer at his capabilities. All of these attributes will serve as our quick introduction to one Berthold Konrad Hermann Albert Speer. So, who was Albert Speer, anyway? There are many ways to answer that question, so first things first. Albert, the second of three sons, was born in Mannheim, Germany on 19 March 1905. Looking ahead, this makes him younger than almost all of his future colleagues in the Third Reich, who generally were born between 1875 (Gerd von Rundstedt) and 1900 (Heinrich Himmler). Unlike most of those future colleagues, Speer was born into a fairly prosperous family, but apparently it was a cold family. Speer did the usual upper-middle-class sports, such as skiing and hiking, and also took up rugby, which wasn't so typical in Imperial Germany. Albert studied architecture at the University of Karlsruhe during the worst years of the Weimar Republic following World War I, then at the Technical University of Munich, and finally at the Technical University of Berlin. Speer was not a particularly successful student - one professor, Hans Poelzig, did not accept Speer due to poor drawing technique. However, another professor, Heinrich Tessenow, was a bit more laid back and accepted Speer. Upon graduation, Speer took up an apprenticeship with Tessenow, who espoused simple forms that embodied national cultural references. During this time, Albert met and married Margarete Weber. While the Webers were tradespeople and thus not in the Speers' social circle, they happened to be prosperous. The pair married on 28 August 1928 and remained married until Albert's death. In light of how things turned out, a key incident in Albert Speer's life took place on 1 March 1931, when he joined the fascist NSDAP. At this point, Speer was still just an apprentice architect. Around this time, Speer left his job as Tessenow's assistant and moved back to Mannheim to manage his family's properties. Speer was an enthusiastic supporter of the NSDAP and, a year later, visited Berlin to help with the 1932 election campaign. While working on this in Berlin, Speer's NSDAP functionary friend Karl Hanke recommended Speer to Joseph Goebbels, who was looking to renovate the Party's Berlin headquarters. With this job completed to Goebbel's satisfaction, Speer returned to Mannheim. However, the building's design caught the eye the Party bosses, including Adolf Hitler. The NSDAP was growing in power and influence, and it needed someone to design a plan for its 1933 Nuremberg Rally. They turned to Speer, who, while young and unestablished, had shown his talents with the design for the party headquarters. 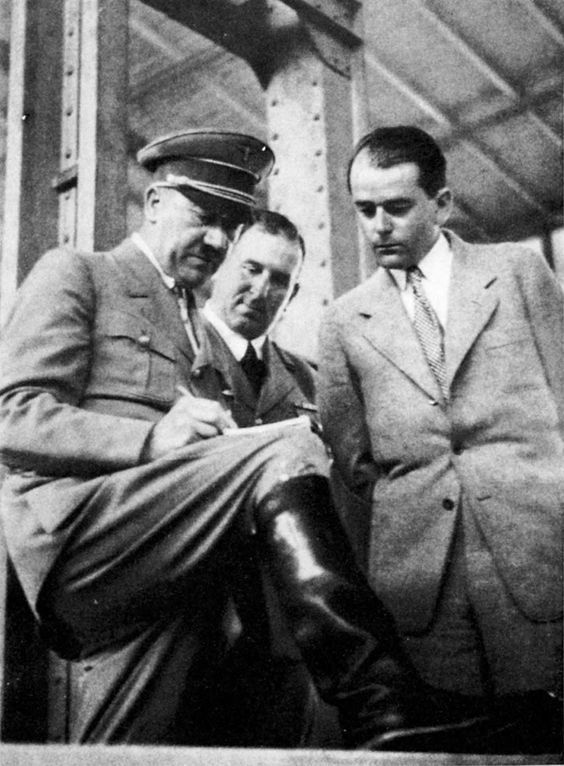 Speer drew up some plans and showed them to Hitler's deputy Rudolf Hess, who sent Speer to see Hitler in Munich. 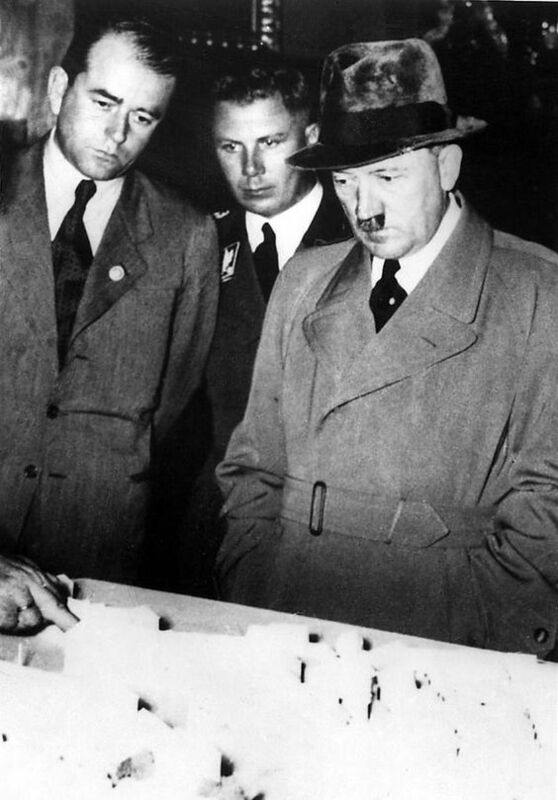 Hitler not only approved of the plans, which involved innovative use of searchlights to create a "cathedral of ice" and monumental forms suitable to the fascist ideal, but also named Speer the "Commissioner for the Artistic and Technical Presentation of Party Rallies and Demonstrations." Hitler would draw sketches of his conceptions and give them to Speer for realization. Hitler was now the Chancellor of Germany and had a lot of important projects. One of these was a reconstruction of the chancellery building in Berlin. While Hitler appointed an established architect, Paul Troost, to undertake the project, he also appointed Speer as Troost's top aide to help manage things. Since Hitler lived in the chancellery, he stopped by regularly to see how the reconstruction was progressing. This brought Speer and Hitler into constant contact, and Hitler was impressed by Speer's energy and enthusiasm. Before long, it became a part of Speer's official duties to brief Hitler on progress as they walked together through the streets of Berlin. It went beyond that, though, as Hitler liked to invite Speer over for dinner and other social functions. Hitler, of course, was a frustrated artist and architect himself. While he liked Speer's ideas, he also probably liked the fact that Speer was competent but not yet established. This made Speer a willing tool for Hitler's own architectural ideas, which he would scribble on a piece of paper and hand to Speer to be fleshed out. After Troost passed away on 21 January 1934, Speer basically became Hitler's personal architect. The projects came fast and furious: first was the Zeppelinhaupttribüne (Zeppelin field grandstands, now known as Soldier's Field and home to the Norisring motor racing track) in Nuremberg (Nürnberg). Speer completed it in a typically grandiose style, and most of it still stands. Other projects, such as the Olympic Stadium, burnished Speer's reputation, though some question the extent of his involvement in them. Many of Speer's civil works remain in place to this day, from various buildings down to miles of scenic street lights in Berlin. Hitler studied Speer's architectural drawings with as much intensity as he later examined his war maps, adopting an identical pose. Speer and Hitler got along famously as the former's works created a distinct style associated with the Third Reich. In 1937, Hitler appointed Speer to be his "General Building Inspector for the Reich Capital." The title is somewhat innocuous, but it was a euphemism for Speer's oversight of one of Hitler's most ambitious projects: the complete rebuilding of Berlin. 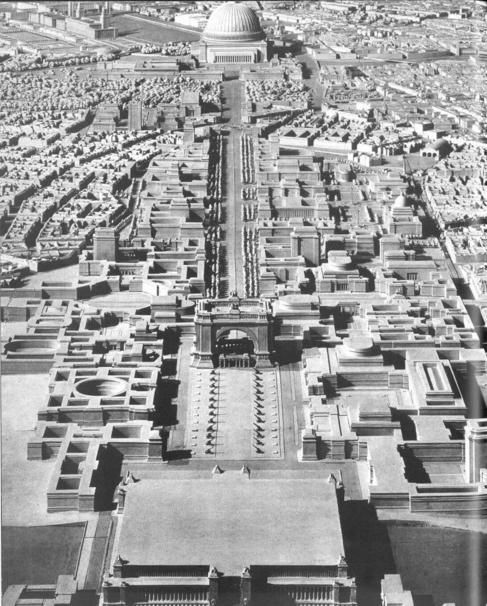 Speer came up with a new plan for the heart of the city, which invoked the usual (fascist) grandiose and monumental architecture that Hitler liked. The most prominent part of the plan included the "Prachtstrasse," or "North-South Axis," around which the rest of rebuilt Berlin would revolve. 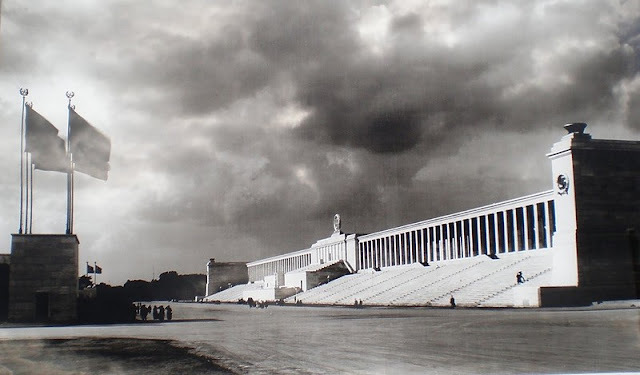 At one end of the boulevard would be a massive imitation of Paris' Arc de Triomphe, and at the other end a domed "Volkshalle" where Hitler could give speeches before 180,000 followers. Speer continued working on this project, which would be the centerpiece of Hitler's concept of his own world capital of "Germania," until the final days of World War II. While the initial conception never changed, Speer continued adding more detail. The entire project would have required razing much of Berlin, much as Roman Emperor Nero is said to have cleared large portions of Rome to build his personal villa about 1900 years earlier. Speer's 1938 plan for the North-South Axis of "Welthauptstadt Germania" (World Capital Germania). The whole idea of "Germania" was absolutely unrealistic. It would have required razing historic buildings in the heart of Berlin and replacing them with massive concrete structures of no discernable artistic merit aside from their enormous size. However, this is what Hitler wanted, and Speer began initial construction. A lot of effort went into this, and some little-known remnants remain. These include road tunnels designed to allow traffic to bypass the North-South Axis. These tunnels, incidentally, became quite handy in 1945 for storing war supplies and evading the Soviets, but that is getting ahead of our story. This appears to be Speer's final version of Germania, which he showed to Hitler in April 1945. Note that the dominating central boulevard now is flanked by massive office blocks and, behind them, smaller buildings crowded in upon each other without interruption. There are few open spaces aside from the roadways, and there are massive "walls" of concrete forming street fronts that resemble barricades. The overwhelming impression is one of endless concrete dreariness. You've all gone completely insane. It was an apt comment. The plans were not for the capital of Germany... but for the world. Of course, for that to be appropriate, the world would have to be conquered first. Hitler had some ideas about that. While Speer continued revising his plans for Germania, the start of World War II on 1 September 1939 quickly put an end to actual work on the project. Speer fully supported the war, which was not a view universally shared by the public, who remembered all too well how the Great War had turned out. While Hitler preferred that Speer's workers continue working on peacetime projects, Speer had his men help the war effort. Many believe that Hitler's "unalterable will" never went unchallenged or ignored, but this was one such instance. Speer's architects designed bunkers and other buildings for the Wehrmacht, which were built by Fritz Todt's labor group, the Todt Organization. 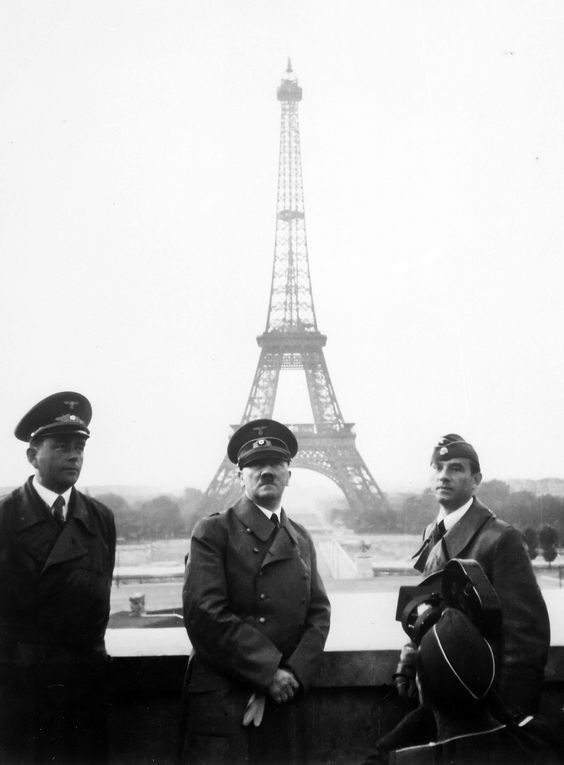 Speer with Hitler in Paris. To the right is architect artist Arno Breker (US National Archives and Records Administration (NARA)). 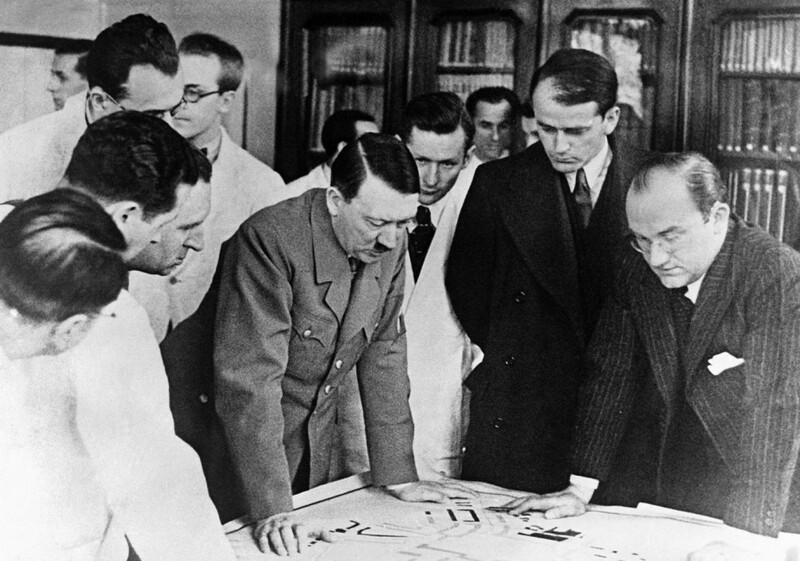 While Speer was dabbling in war work, Hitler still saw him as his personal architect. When Hitler made his snap decision to visit Paris on the morning of 23 June 1940, he took along Speer - not due to Speer's military work, but as a fellow lover of architecture. Josef Stalin, at the time Hitler's ally, was impressed by Speer's growing reputation and invited Speer to Moscow, but Hitler relied upon Speer so much by this point that he refused to grant permission for fear that Stalin would keep Speer in the Soviet Union to design his own buildings. 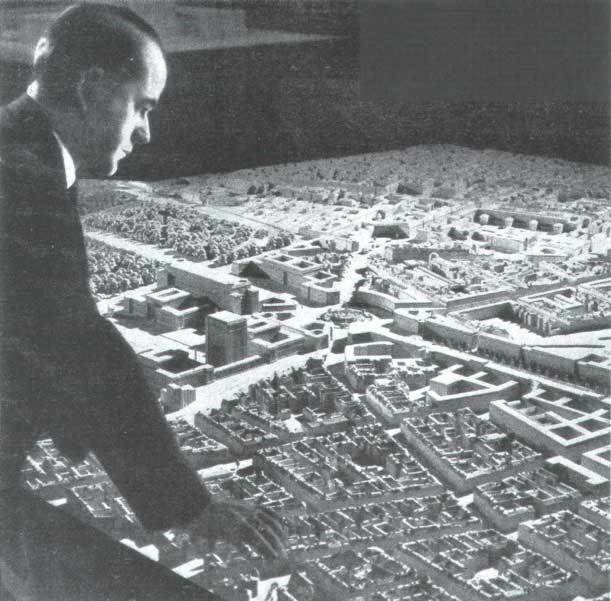 In fact, Speer still was making minor architectural changes to Berlin through 1941 in furtherance of the grand Germania scheme. Like many other top names in the Third Reich (such as Reichsmarschall Hermann Goering and Foreign Minister Joachim Ribbentrop), Speer disagreed with Hitler's plan to invade the Soviet Union on 22 June 1941. However, the die was cast. Among other things, the invasion created an enormous need for fortifications along the Atlantic coastline. The Todt Organization, which originally had simply been a group of laborers to build the autobahns, became heavily involved in these projects. When Fritz Todt, originally just the Inspector General for German Roadways but now the Reichsminister für Bewaffnung und Munition ("Minister for Armaments and Munitions"), perished on 8 February 1942 in an airplane crash, Hitler needed a replacement. In what many consider one of Hitler's best decisions, he chose Speer - but it was not a well-thought-out decision. According to Speer, Hitler knew that Goering would demand the position himself, but didn't want to give it to him. 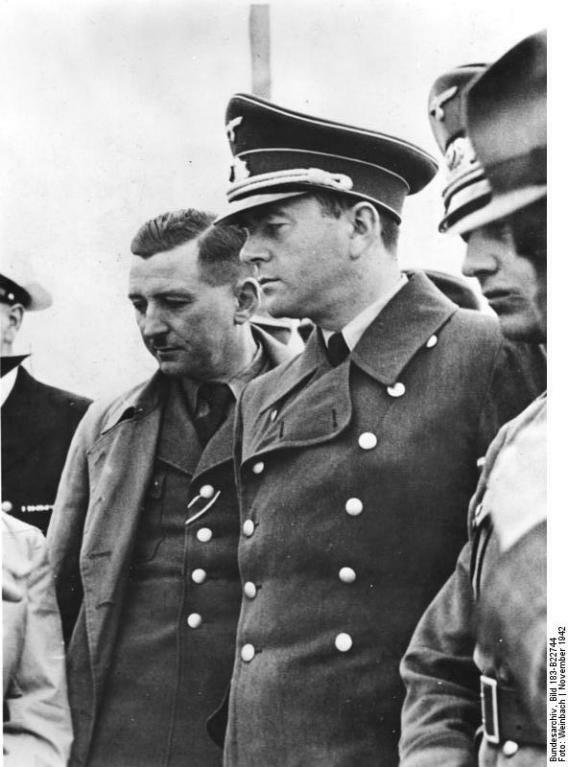 Since Speer just happened to be in Hitler's presence at Fuhrer Headquarters in Rastenburg when news came in of Todt's death (Speer had cancelled his own flight with Todt at the last minute), Hitler opportunistically lit on the idea of appointing Speer - who had no real experience in armaments - to the position in order to be able to present Goering with a fait accompli. Now Minister of Armaments, Speer was presented with massive new responsibilities. In essence, he now oversaw a wartime economy that included 3 million men under arms, many foreign workers, and an army of slave laborers. Speer quickly saw that Todt, who also opposed the Russian campaign, had kept the German economy on a peacetime footing. This was of some political benefit to Hitler, because it spared Germans the privations of England and the occupied European countries, but the Wehrmacht already was sustaining massive wastage on the Eastern Front that had to be made good. Goering, who headed one of five separate entities within the Third Reich responsible for industrial production, had taken a casual attitude toward production. In a word, the Reich's economy was chaotic. 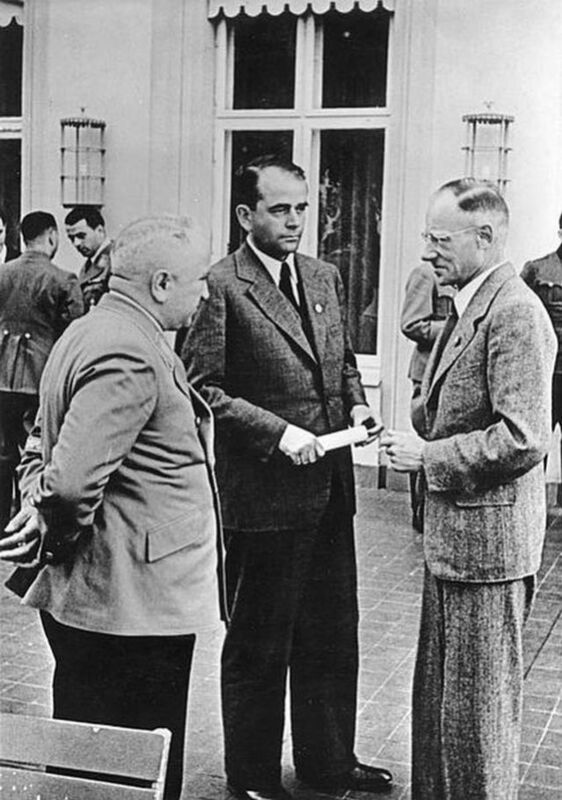 Speer meeting with Herbert Backe, Reich Minister of Food and Agriculture, right, and Robert Ley, leader of the German Labor Front (DAF). Speer had to act fast - and he did. He took a major step toward the "socialism" implied by the NSDAP's own name - the National Socialist German Workers' Party - and centralized manufacturing. Hitler was fully supportive, and, with this backing, Speer grabbed control from the other economic fiefdoms. This did not sit well with Goering and some others, but it was becoming apparent that the war was not going to be as easy to win as many first thought. Among other reforms, Speer made such seemingly elementary decisions as requiring factories to focus solely on one product and having experts in control of decisions. Within weeks, Speer had seized control of basically the entire economy of the Third Reich. Speer with Luftwaffe head of development Erhard Milch. While, as noted, some highly placed figures in the Third Reich were unhappy with the new Economic Czar, those in charge of the Wehrmacht were pleased because they had been pleading for more weapons (ammunition shortages had become a real problem at times). Even some of his rivals, such as Goebbels, gave him grudging credit for his reforms. However, Speer's own authority only extended so far: Hitler always had the final say on any matter within the Third Reich. Speer, for instance, wanted to expand the use of German female labor (other than slave labor), but Hitler was opposed. Instead, Hitler approved of labor boss Fritz Sauckel's decision simply to import more slave labor, including female, from conquered territories. Speer went along and assigned the slave labor to his growing empire of armaments and munitions factories. Adolf Hitler examining Speer's building plans in Nuremberg on 24 February 1937 (AP Photo). A note about AP photos: that organization maintained contacts with the Third Reich deep into World War II, and one of its sources was an SS officer. The AP photos are designed to portray the Third Reich in the best light possible. The photos are what they are. Speer's efficiency reforms worked. Production jumped: by 1943, tank production had doubled, and the Luftwaffe was developing dramatically new jet weapons such as the Me-262 jet fighter-bomber. Plane production, in fact, rose 80% that year, though such gains largely were illusory because the military bottleneck was shortage of oil, about which Speer could do little (though he did develop some critical synthetic oil plants). Speer also perceived the growing menace of the Allied bomber offensive following the RAF's attack on the top secret rocket facility at the Army's Peenemünde research center in August 1943. He had his slave laborers carve elaborate caverns from mountains within the Reich for the installation of munitions factories. This strategy was a brilliant success, far exceeding any reasonable expectations. Military production continued rising at a high rate until the very end of 1944, even as the Wehrmacht was in full retreat on all active fronts. Of course, this was only made possible by absolutely wretched mistreatment of slave labor brought in from across Europe (and laborers who were paid had little choice in the matter). Speer receives an award from Hitler, May-June 1943 (Heinrich Hoffmann, Federal Archive). Speer knew all about the use of slave labor. For instance, when he visited the Mittelwerk V-2 rocket installation on 10 December 1943, he observed the horrible conditions of slave laborers, who were dying right and left. By this point, however, the Reich was fighting for its life, and there was no other labor left in Germany: the German men were all being sent to the Russian Front. The choice was to use slave labor, or see military production collapse. Speer was in charge and knew better than anyone the growing strains on the German economy, and many photos from the period show him either troubled or depressed. His personal discontent, though, did not stop Speer from making full use of slave labor. 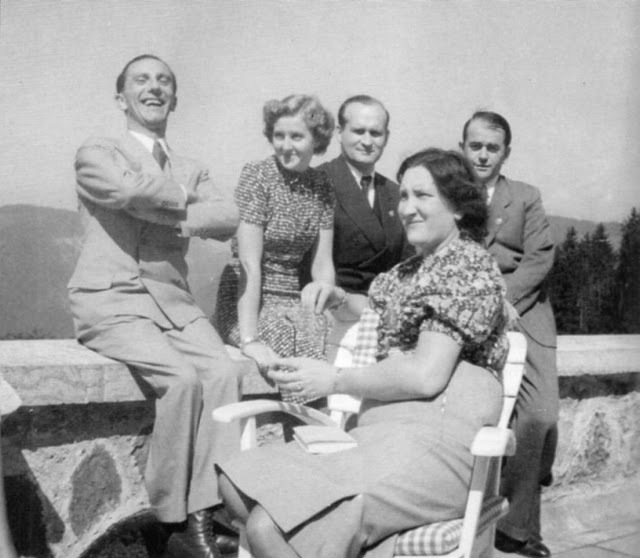 Eva Braun with Joseph Goebbels (far left), Albert Speer (far right) and the architect of the Eagle's Nest (Kehlsteinhaus), Hans Haupner. They are all... or some of them are... sharing a laugh at the Berghof (Photo by Gretl Braun). Speer developed an inflamed knee in January 1944 (his rivals viciously questioned whether he was fine but just being lazy), and his rivals pounced. Goebbels, Himmler and Martin Bormann all tried to carve away some of Speer's power. Goebbels sneered that Speer was a "malingerer" hiding out in a hospital to avoid responsibility (which Himmler actually did not long after). 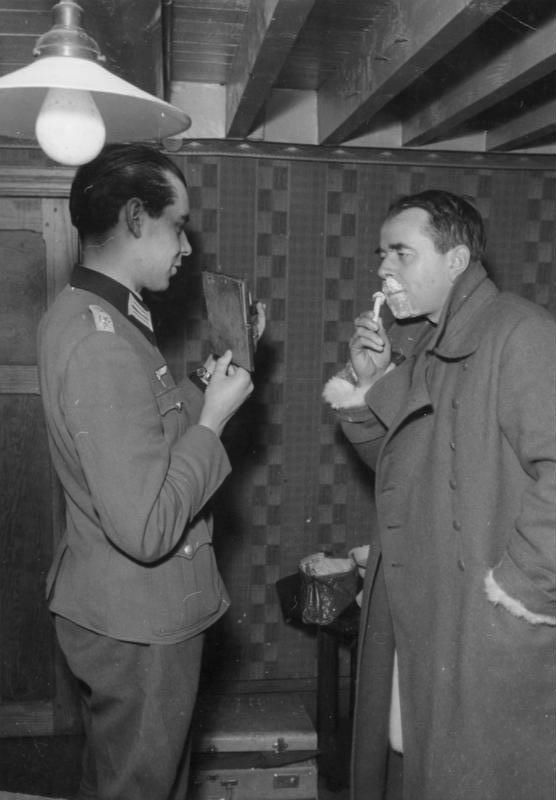 Speaking of Himmler, he sent his personal physician Karl Gebhardt to "treat" Speer, an offer Speer wisely refused. 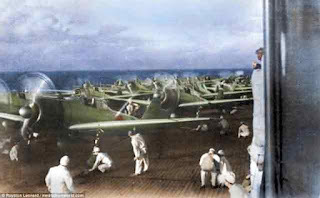 Speer eventually recovered, and when he returned, he found that the air war had grown increasingly desperate following a sustained Allied campaign against Reich airplane factories in late February 1944. Along with Erhard Milch, Speer created a new task force to impose even tighter control over the economy. Called the Jägerstab, this task force took brutal decisions such as ending bomber production in order to focus on fighter planes. As with many of Speer's reforms, the strategy worked, and war production continued to increase. The war was going badly, however, and Hitler finally acceded to some of Speer's rivals and stripped him of some powers in April 1944. Speer threatened to resign, another strike against him as far as his rivals were concerned: resigning during such a desperate time was considered unthinkable. Speer, upon Luftwaffe boss Milch's urging, finally relented upon condition that Hitler restore all of his powers. This Hitler did, and Speer returned to work. This was the key decision that meant that Speer would go "down with the ship" as the situation went from bad to worse. 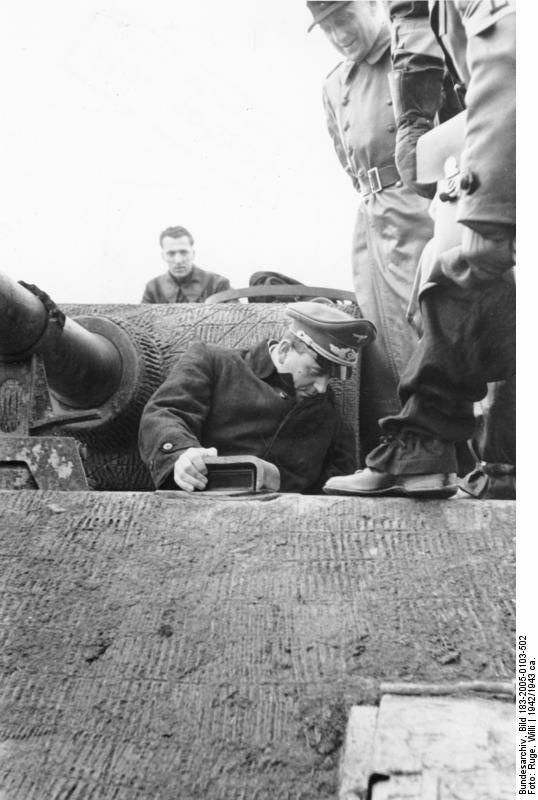 Speer inspecting a new panzer during the middle of the war (Willi Ruge, Federal Archive). The Jägerstab was successful in making the military economy more efficient, but it could only do so much. Basically, the Jägerstab was a partnership between the three main production groups within the Third Reich: Speer's armaments industry, Milch's Luftwaffe construction group in the Ministry of Aviation, and the SS. The last element, the SS, was critical because it supplied the slave labor that allowed the Reich to continue building anything at all. In fact, there was really no other reason for the SS to be involved. The Jägerstab eventually became the Rüstungsstab, which incorporated an even wider sphere of control. The broadening scope of Speer's authority paralleled an erosion in Goering's power, who was out of favor due to Luftwaffe failures, but that was how things worked in the Third Reich. Taken as a whole, Speer's reforms were the main reason that the Wehrmacht was able to continue fighting into 1945 - without them, it is difficult to see how the European conflict would not have ended by Christmas 1944 as many on the Allied side hoped. Speer touches his design for the 1937 German Pavilion at the 1937 Paris Exhibition. By late 1944, the relocation of the Reich's armaments industries to impregnable underground facilities was largely complete. Arguments still rage about how vast the Reich's underground facilities were, but there are many installations in Poland that remain unexplored to this day (and are slowly being rediscovered by adventurers). Speer relied upon slave labor for both the construction of the facilities and the production in them after they began operation. 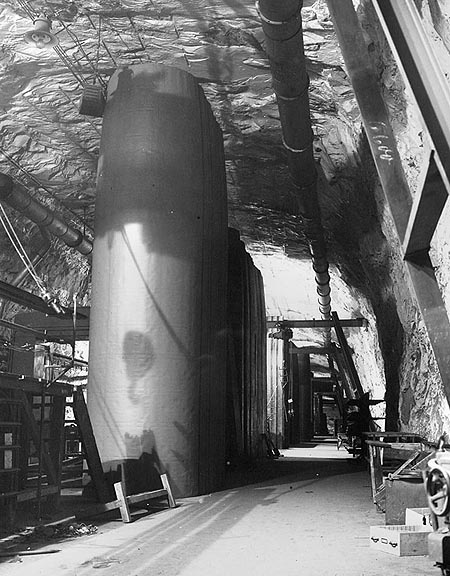 Just one of many German underground facilities, this one for ballistic missile (V-2) production. It is difficult to convey what a massive project it was to move war production underground - untold thousands of slave laborers perished moving dirt and rocks in unlivable conditions. It was their efforts that burnished Speer's reputation. Everyone could see that the end for the Third Reich was drawing nigh no matter how effective Speer's reforms turned out. The 20 July 1944 plotters who tried to assassinate Hitler were unable to convince Speer to join them, but they did include him on a list of prospective post-Hitler leaders. Fortunately for Speer, they included the notation "To be won over" and a question mark next to his name. When the list fell into the Hitler's hands, these notations saved Speer's life. Hitler continued to trust him and kept Speer in all of his posts. In some ways, this worked to Hitler's benefit, because Speer was a capable administrator without moral scruples, but Speer (unknown to the plotters) also was beginning to sour on the increasingly hopeless war effort. Speer gets a quick shave (Baier, Federal Archive). While some of Speer's last-ditch armaments projects succeeded to one extent or another - such as some jet planes and the so-called V-1 and V-2 reprisal weapons, which at least worked although their cost-effectiveness is debatable - the military situation deteriorated rapidly in 1945. Speer finally, in the war's final month, made clear to Hitler that he believed the war to be a lost cause and gave him a detailed memo to that effect, which - to Hitler's shock - actually (apparently) began with the phrase "The war is lost." 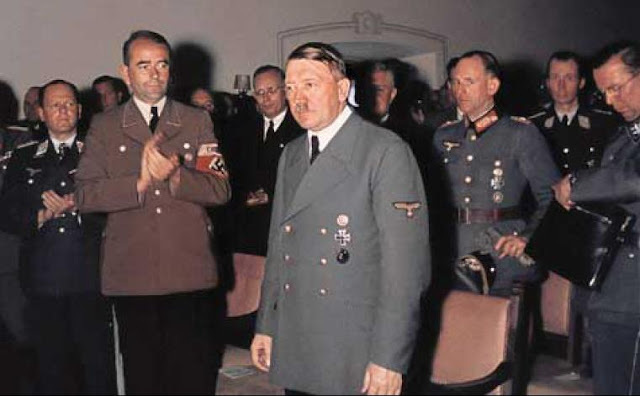 Hitler merely asked Speer if he at least still wanted Germany to win the war. When Speer said yes, Hitler left it at that. Hitler continued viewing updated versions of Germania until his final days in the Berlin bunker. The final days of the Third Reich were chaotic and not well documented despite the numerous histories of the period that purport to provide almost hourly summaries of what transpired. Hitler ordered a "scorched-earth" policy, which would have required destroying German infrastructure. Speer told Hitler that he supported the policy, implemented in the infamous Nero Decree of 19 March 1945, but Speer covertly refused to implement it. In any event, such a policy was both pointless and impossible to follow anyway. Speer viewed the bridges and other installations slated to be demolished as vital to the survival of Germany. Always politically astute, Speer demanded and received exclusive powers to implement the Nero Decree - power that he used to frustrate it thereafter through such typical stratagems as claiming that bridges and so forth would be necessary for Wehrmacht counterattacks (that now were impossible, but which Hitler continued to plan). Speer began to see Hitler and his refusal to surrender (enabled only by Speer's own industrial reforms of previous years, as noted above) as the problem for Germany, not the Allies. As he testified later, Speer considered poisoning Hitler in his bunker through the air ducts. In fact, though, Speer did nothing of the sort. Whether such fanciful "remembrances" reflected reality or was all just talk for the gullible Allies remains debatable. 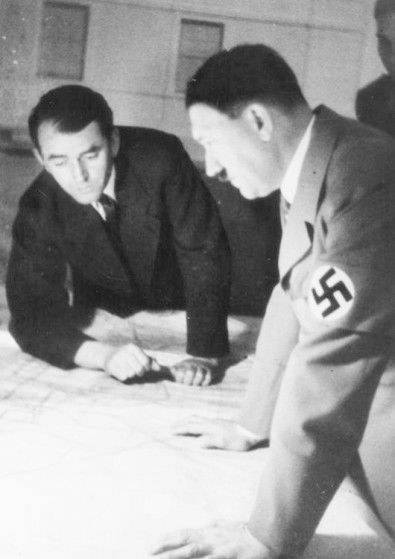 Albert Speer with Franz Xaver Dorsch, chief engineer of the Organisation Todt, November 1942 (Weinbach, Federal Archive). Speer was with Hitler for the latter's final birthday, on 20 April 1945, and remained in the vicinity of the bunker for a few more days. On the morning of 23 April 1945, at practically the last moment, he took his leave of Hitler for the final time and headed to Hamburg over one of the last open roads (the Soviets completely encircled the city hours later). In his final will and testament, apparently mindful of Speer's frustration of some of his last plans, Hitler did not mention Speer at all. This was quite a change from the days when many considered Speer to be one of Hitler's top choices as his ultimate successor. 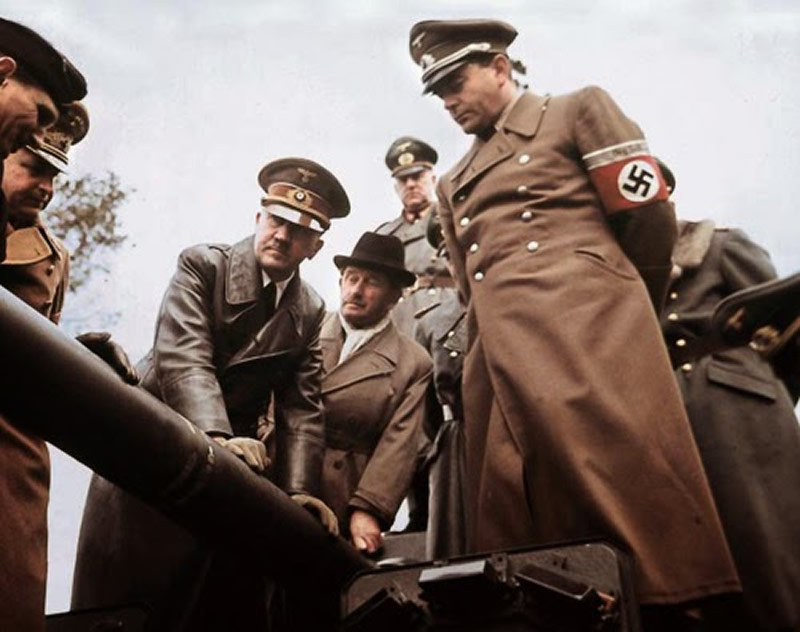 Adolf Hitler, Ferdinand Porsche, Walter Buhle and Albert Speer inspecting weaponry on March 18 or 19, 1943 in Rügenwalde. Speer had good defenses to the first two charges, of which he ultimately was acquitted, but the last two were more serious. Despite his protestations of ignorance, there was little question that he knew about slave labor and used it. Speer went to extravagant lengths to curry favor with the prosecutors - including relating the story about thinking about killing Hitler in the war's final days, which his erstwhile rivals now on trial considered a massive betrayal - and it worked. Speer avoided the gallows, based largely on inconclusive evidence of his use of slave labor, and instead was sentenced to 20 years in Spandau military prison. There was no question that Speer was guilty as charged of crimes against humanity, something that he privately admitted years after his release from Spandau. Whatever his real guilt, Speer served his full 20 years - to the day, and not counting time already served at the time of his sentencing - at Spandau. While there, Speer wrote his memoirs, which he scribbled on toilet paper and smuggled out of prison to his wife. Speer recounted in "Inside The Third Reich" (1969), "Spandau Diaries" (1975) and other works his experiences with Hitler and other to Third Reich officials, and these recollections remain top primary source material for the period. Speer recounted in "Spandau Diaries," which focused largely on his incarceration, that he spent his time pacing around the prison yard pretending to walk around the world. He also made canny observations of his fellow prison mates and how they coped with prison, including Hess, who Speer implied was not crazy as asserted by the Allies. 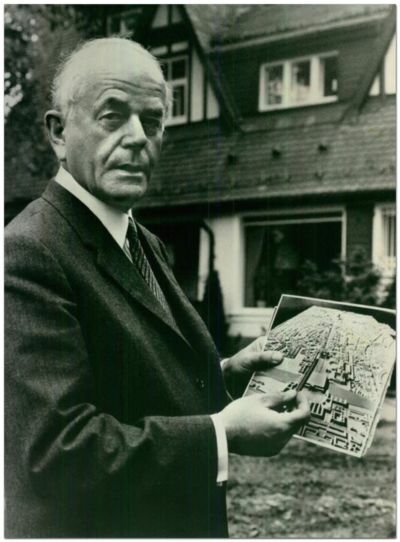 Speer in his later years with a picture of his plans for Germania. The Allies released Speer from prison at midnight on 1 October 1966. Unlike some previous prisoners, the Germans did not arrest him upon his release (the reconstituted German state was a separate jurisdiction from the post-war Allied tribunals and could charge war criminals as it so chose). Speer returned to his wife, who had collected his memoirs, and began collecting his memoirs. However, all was not well: Speer found that even his own two children had turned their backs on him (and thus they will receive virtually no mention in this article, choosing to disassociate themselves with their father). Speer's memoirs went on to become bestsellers and classics of the genre, and Speer donated a high proportion of his royalties to Jewish charities. 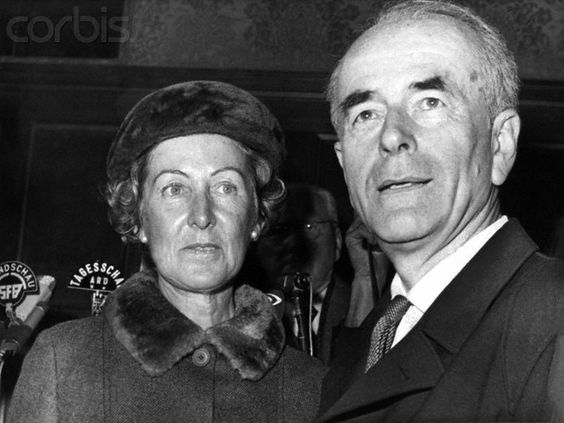 Albert Speer with his wife, Margarete. 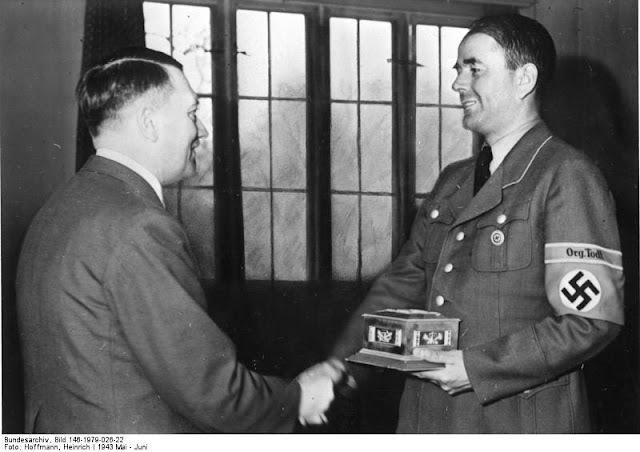 Speer accomplished one final extraordinary feat after his release from Spandau: he became the only top NSDAP official who managed a degree of rehabilitation (some Wehrmacht officers, such as General Franz Halder and rocket scientist Wernher von Braun, also managed to rehabilitate themselves, but they were not Hitler cronies). This rehabilitation, however, has been tarnished by revelations following his death apparently from a stroke on 1 September 1981. This evidence included newly surfaced documents that proved that Speer was fully aware of extermination programs directed at the Jews and did nothing about them (the main evidence was a letter he wrote in 1971). Had this information been available at the time of his sentencing, Speer likely would have received the death penalty along with most of the other defendants at his trial. 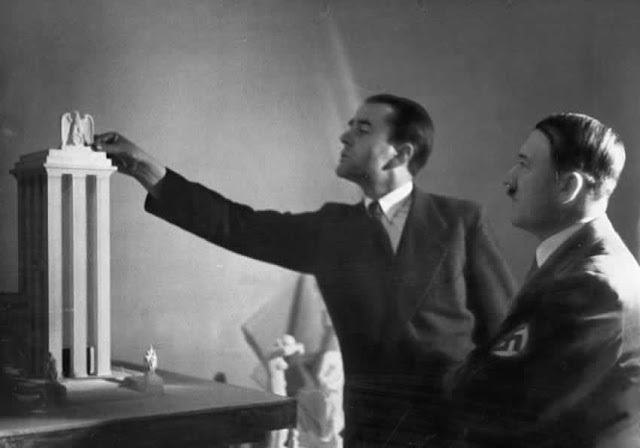 While Albert Speer may have evaded some forms of earthly justice, he did leave behind a fantastic body of architectural creations and written material. These provide unique insight for historians into the economic workings of the Third Reich and life under Hitler. 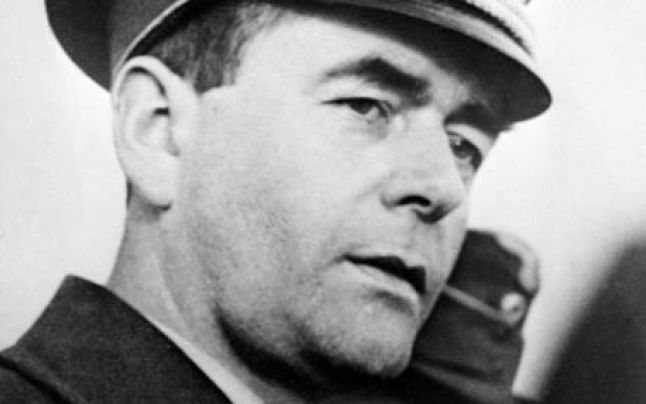 While Albert Speer throughout his life managed to portray himself as largely innocent of blame for the Third Reich's crimes against humanity, he was one of the chief enablers of those war crimes and should be remembered as such. 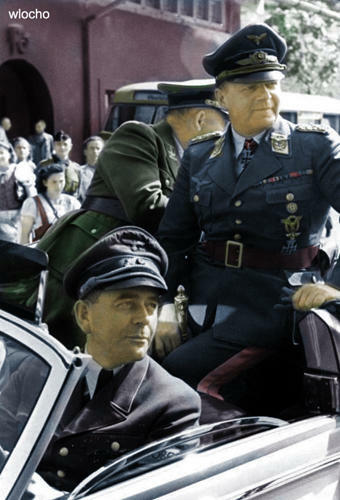 Albert Speer at the height of his power in 1943.